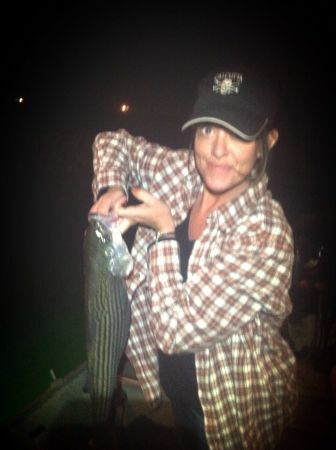 Hybrid Stripers are still very active. 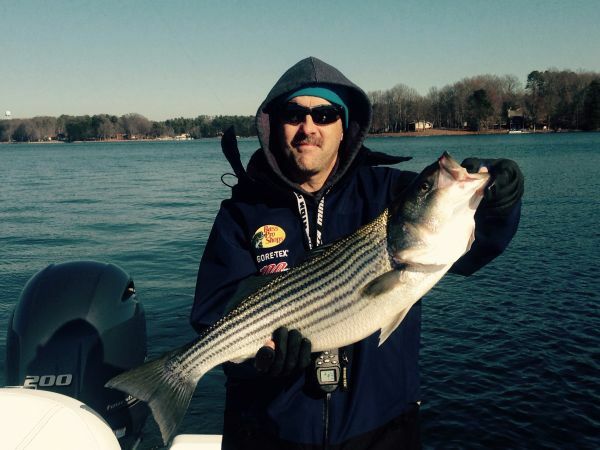 We caught 12 nice Hybrids along with Stripers, White Perch & Spotted Bass. Fish are feeding between 30-40ft and still striking Alabama Rigs. Hot locations are Mile Marker 7 & 13 running in the river channels. All fish were catch and release. Happy Fishing. Yes the Hybrids are biting. They are a lot of fun to catch. I just want to say don't rule out the original. 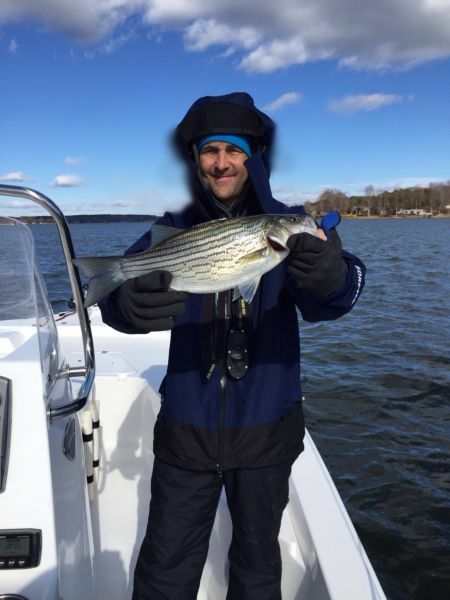 January 17th my favorite fishing guide (aka) Chris Mabrey and myself caught two beautiful Striper. His was an amazing 10lb and of course mine was smaller coming in at 7.2lb. Still a great catch. Both guys were released. We also landed a few spotted bass and a good size white perch. All were caught trolling by marker 13 using Alabama Rigs. Happy Fishing!! Stiper enthusiast since April 2014!